I Write about my struggles with depression, Aspergers syndrome and anxiety. If you have questions, please ask. I like to think this blog is a little reminder to anyone who ever feels alone or hopeless that you are not the only one. Hello, lovely human! 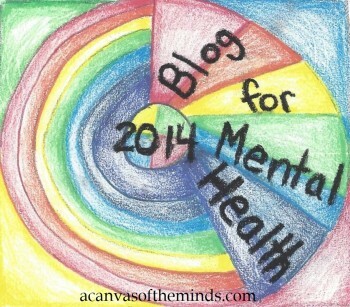 I wanted to follow your blog since we both deal with bouts of depression and anxiety! It’s not so lonely when you have friends in the blogosphere who can understand what you’re going through. 🙂 Thank you! 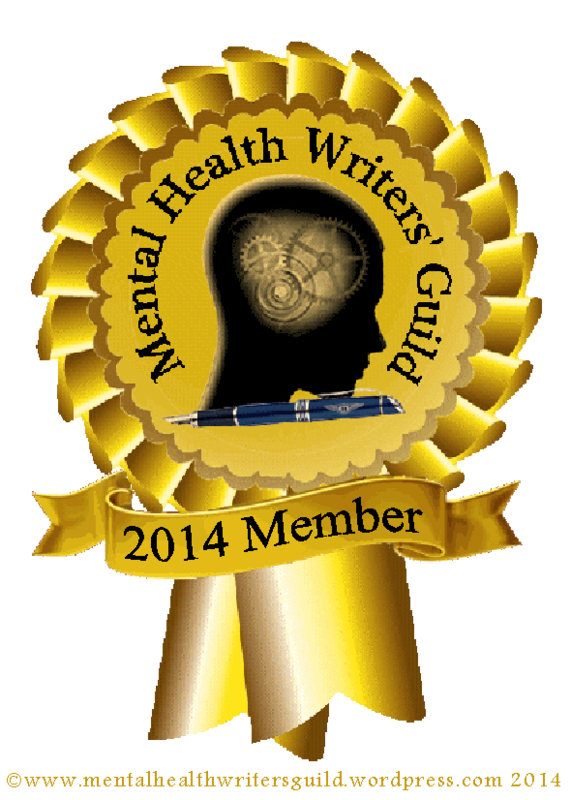 I have met so many great people blogging about mental health, its been a fantastic thing to do! I’m glad this has been a tremendous support for you! 🙂 Keep up with the writing. It definitely gets us through the darkest of moments. 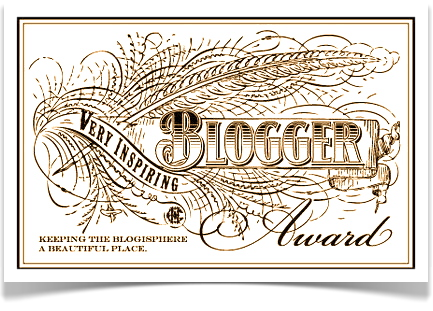 Your blog is wonderful and brave! 🙂 I also love that little elephant graphic! Please continue to tackle such a tough issue head on. Thank you very much, that’s such an interesting article! So relateable! Hey fellow MH blogger, thanks for liking my recent post 🙂 Am about to read yours now as promised! Thank you! I will look forward to more posts from you to! I enjoy reading your blog and can certainly relate. I am new to blogging, just a few days into it. I appreciate you reading the part of mine that you did and hope you will continue to. My thoughts are very unorganized but maybe I will get better at blogging. I look forward to your future posts. It is surely encouraging to know I am not alone in this type of thing. Best wishes. Thank you very much 🙂 I to will follow you. Looking forward to reading your posts! Thats great to know! 🙂 I understand, I felt very alone to and then I found such a fantastic community on here! I hope you can relate 🙂 Thanks for reading. I love your logo! Thanks for the like. It seems that this is a very safe place to discuss depression. Thank you for your words. Thanks for liking my post! Your blog deals with some very difficult issues and I think it’s so important to talk about mental health in an open and honest way. Even though it may be true that we’re all one–and I believe it is–in some ways everyone’s pain is unique, and this is what makes us feel lonely at times. I wish you the best in your ventures and hope you find happiness and satisfaction. Thanks also for taking the time to read and like my blog piece. I really appreciate it. Thank you for liking my poetry on my blog: WordMusic. I can see you have the sensitivity to totally understand what I am on about. Thank you for visiting 🙂 I very much enjoy your poetry. What is impressing me is your strength and your honesty. They will help you in all the right ways. Thanks for dropping by my blog: WordMusic. I appreciate it. 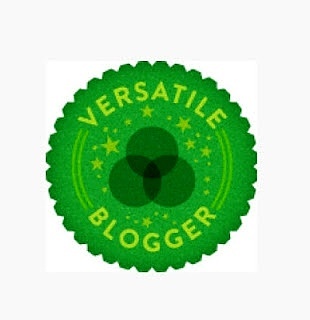 Thank you for following my blog. In some way we are all elephants in other people’s room. Hey, I’ve just started blogging and I’m thankful to know I’m not alone. I wish I could be more honest with myself, and maybe start to heal instead of hating every move of mine. Thank you. thank you for liking my post. i can’t wait to read more from you. Yes, I am one who feels alone, isolated due to my mental illness, and my inability to “snap out of it”, as so many people say to me. Thank you for liking my blog post on creating. I have poked around Elephant In the Room and found myself to be right at home. Thank you for liking my blog! It is a noble cause to remind those that suffer that they are not alone. Keep up the good work! Hello, thanks for liking my latest post! Your blog looks very interesting. Hope we can stay in touch. Thank you very much 🙂 I will work on this now! p.s. the thing I like about your Elephant symbol is the heart in the middle. People forget that the heart is at the centre of all our emotional thinking. Thank you very much for stopping by. And thank you, my logo was created by a really nice guy on Reddit, he makes such fantastic logos! Great title for your blog. It caught my eye and I’m glad because I’m looking forward to reading it. First of all: I love the way you start each of your posts. Second of all: I admire you sharing your experiences. Third of all, I want to let you know that I’m going to be a huge fan of yours so prepare yourself to see lots of my comments in your next posts. 🙂 Thanks for checking my blog out to! Thank you for liking my post, ‘The Task”. 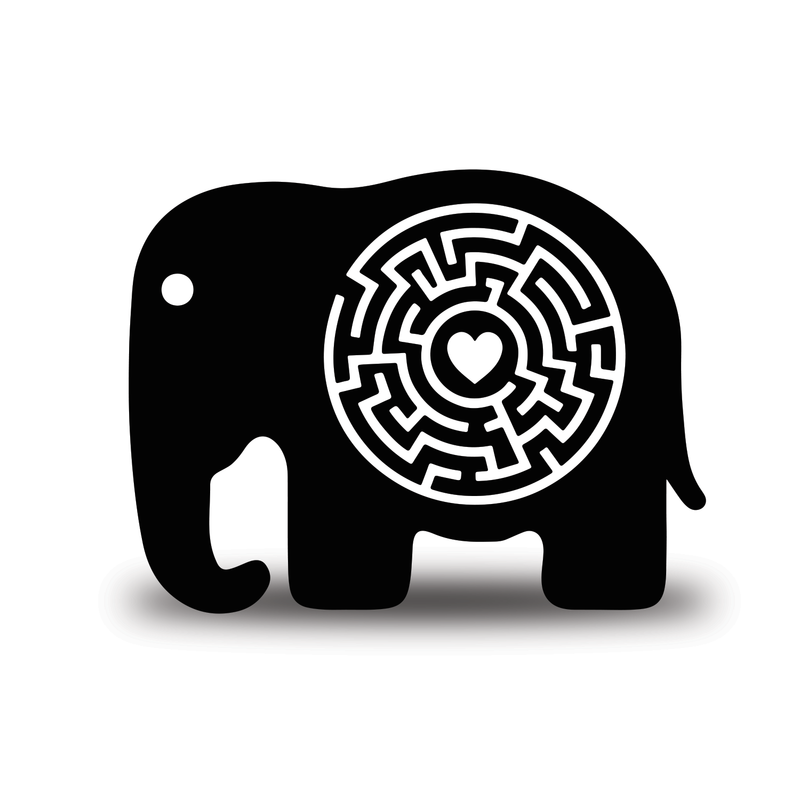 I love the whole concept of the ‘elephant in the room.’ I have PD and I am that elephant it seems wherever I go. And with my PD comes the extra gifts of depression and anxiety. I look forward to reading your post. I’m going to follow you as it is essential that we support one another. Thanks and I will see you in cyberspace. 🙂 Very true! it is essential that we work as a team to stop the stigma and support each other! Thank you for liking my blog. 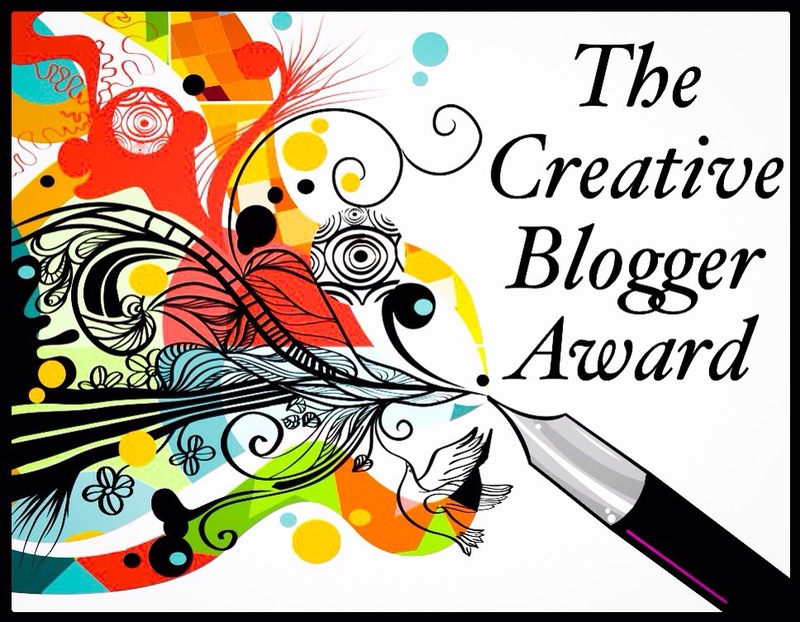 This is a very brave blog–and, you have one of the best creative titles for it I’ve ever seen! Take care. 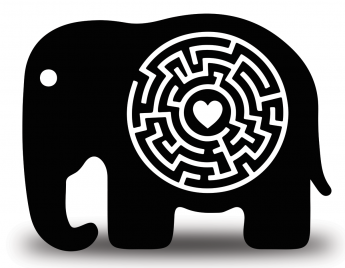 I love the picture of the elephant with the maze. Very symbolic. So accurate. HI! I have selected the Elephant for the Encouraging Thunder Award ! See the post Here. You can copy and paste the badge from the post. You’re doing a good thing with this blog and I’m sure that your honesty and candor makes a huge difference in people’s lives. Hi, Thanks for liking my post about ‘view from the bottom of the well’ book last week. I suffer from depression, anxiety and ocd and have only recently felt confident enough to admit it to anyone (online or in person). Your blog helps me feel more confident in admitting it and not feeling so embarrassed/ashamed as I have done so for so long. Keep it up:)! Love the metaphor. Thanks for the visit earlier. Stay strong and creative. 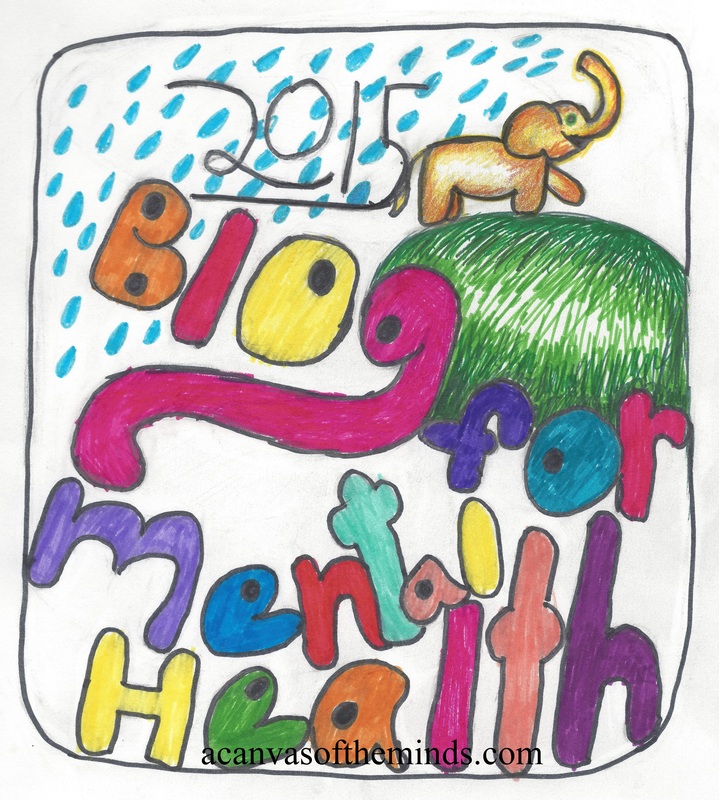 Elephant in the room, your blog is currently included on our Actually Autistic Blogs List (anautismobserver.wordpress.com). Please click on the “How do you want your blog listed?” link at the top of that site to personalize your blog’s description.